Close-up photos of various sized and shaped dental burs, neatly stored on brushed metal trays. The light reflects off of the shiny burs, enabling viewers to see them in even greater detail. 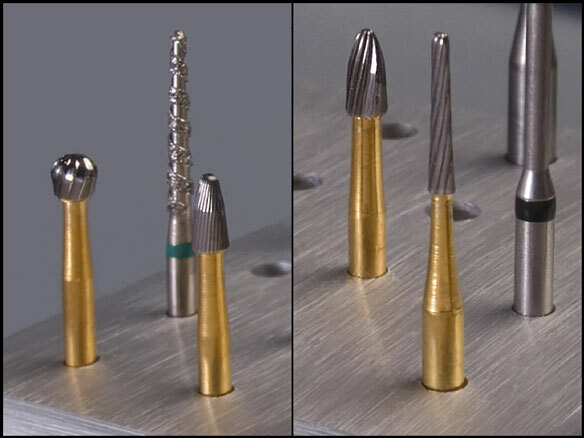 Dentists use these types of burs to sand, shape, smooth, and round off tooth enamel and dental fillings.